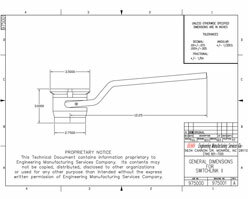 Tandem Switch Linkage / Tandem Valve Linkage | Engineering Manufacturing Services Co.
Tandem switch linkage and tandem valve linkage assembly is an economical cost saver and alternative to expensive ball valves. 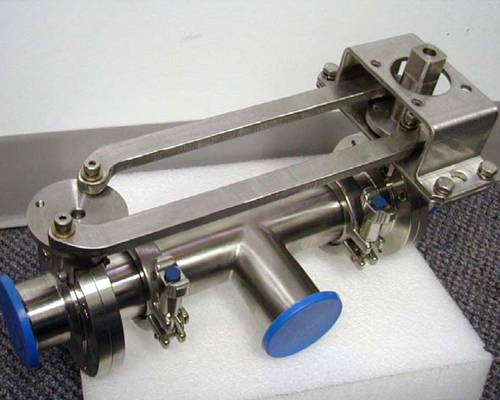 Our tandem linkage kit allows an operator to turn multiple valves at once. Tandem switch linkage allows either two switches or a switch and positioner to be mounted on a single actuator. To request more information on Tandem Linkage Kits, call us at 704-821-7325 Monday through Friday 8:00 am – 4:30 pm, email us anytime at emscompany@emsco-nc.com, or complete our contact form. To request a quote for Tandem Linkage, click here. Click the image to view the SWITCHLINK II file.